See why people like you want to work in West Seattle. Over the bridge, West Seattle employers are offering a number of full and part time positions. We’ve put the best of the best together to bring a Westside job fair like none other. It’s like family. Flexible schedules too, plus we’re just really nice people. Every business at the Westside Job Fair will be interviewing on the spot. You’ll sit down with either the business owner or hiring manager. Some hire on the spot, so be prepared to accept an immediate offer! Fast-paced restaurants, award winning coffee shops, and heady bready bakers are all hiring. Got a musical background? We’ve got music schools. Love to be around the beauty of all the things, then retail would be your vibe. Oh, and office and banking jobs too. We’ve put the best of the best together to bring a Westside job fair like none other. It’s like family. Flexible schedules too, plus we’re just really nice people. West Seattle Fauntleroy YMCA Hiring FT and PT positions in afterschool care, administrative support, customer service, childcare, swim instructors, youth sports coaches (soccer and basketball), swim team coaches. Commute Seattle – Commute Seattle is a nonprofit Transportation Management Association providing free services to businesses looking to support alternative modes of commuting for their employers. Commute Seattle provides free technical assistance and consultations to businesses to help improve the access and affordability of transit, and to keep Seattle moving for all. Bring your resume too, as we’re all interviewing on the spot. There is free 3 hour parking in our parking lots located on 42nd and 44th Ave. You can also take the C Line, 50 and 21 bus to the stop on Alaska St. The job fair is 2 blocks south. Bring copies of your resume as we will be conducting interviews at the job fair. The Westside Job Fair is produced in conjunction with WorkSource. 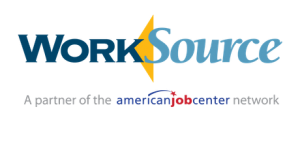 WorkSource Seattle-King County is an equal opportunity employer/program. Auxiliary aids and services are available upon request to individuals with disabilities. Washington Relay 711. See all of the King County Work Source resources here. Are you a member of the West Seattle Chamber of Commerce or a Junction Merchant? The registration for businesses is now closed, but please email the West Seattle Junction or West Seattle Chamber to be placed on the wait list.